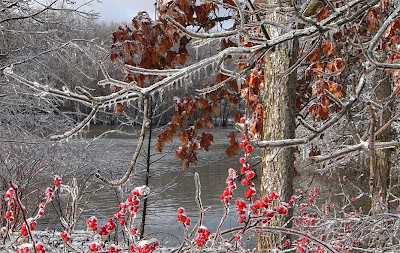 A couple of years ago in January, Southeast Michigan was hit with an awesome ice storm. Even though it is a bit sad to see many trees damaged by the force of the ice, the scenery created is so beautiful that it is difficult to avoid falling in love with the sparkling aftermath. I was working in the Ann Arbor area at the time and during the days that the ice was present, my commute was treacherous due to everyone's eyes (including my own) focusing on everything but the road. The diamond encrusted trees along the way transformed the normally boring 45-minute stretch of concrete into a gleaming crystal highway. I spent a few hours ("visiting clients") walking along the Huron River through Gallup Park and Furstenberg Nature Area marveling at this amazing frozen world - a situation that obviously made it impossible for me to work on that particular day. Projects and clients would still be around tomorrow; I couldn't say the same for the ice with any certainty, so my priorities were clear. Although it was mid-January and winter was well underway, a few trees still had their leaves including an Oak whose leaves had turned bright orange instead of the typical brown during the past fall. Suspended in a clear icy coating, they shone in the bright sun and made me wish I had come better prepared for taking photos. A few swans and mallard ducks braved the chilly water of Geddes Pond as I crossed the adjacent bridge and slowly followed the slippery path through the woods along the north bank of the river. 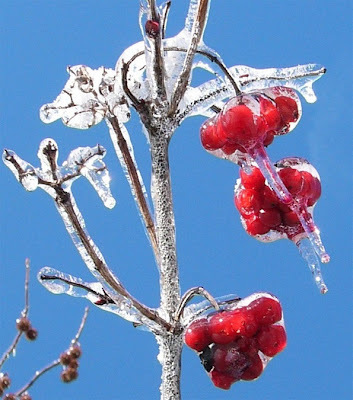 The ice encapsulating grasses, bushes, branches, berries, and leaves gave a distorted look to everything around me. 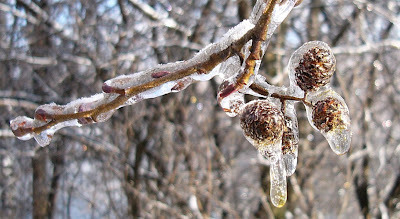 Buds and leaves seemed magnified, and scenes like the one below gave me the impression of watercolor paintings due to the surreal quality the coat of ice gave everything. I returned to this park the following day but the temperature had warmed up just enough to begin the melting process and it just wasn't the same. The ice storm's time had passed but I was very happy to have been able to enjoy it while it lasted. These are great to look at. Very surreal indeed. 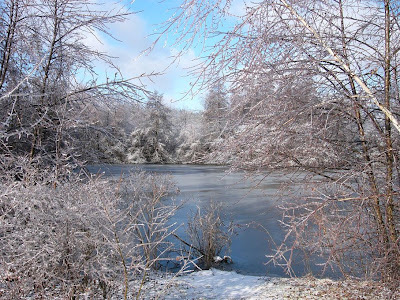 I recall a winter in Florida along Pensacola when an ice storm hit. 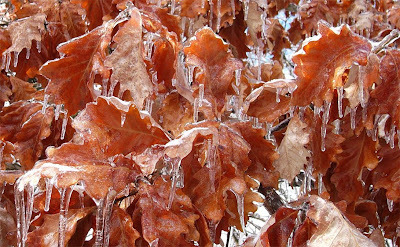 It was so strange to see the tropical plants all coated in ice. Our beach vacation was rudely interrupted by winter's wrath. 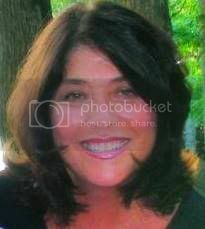 From one Michigan lover to another, I highly praise these lovely photos.